The artist who created the statue for the Lincoln Memorial, John Harvard in Harvard Yard, and The Minute Man in Concord, Massachusetts, Daniel Chester French (1850–1931) is America's best-known sculptor of public monuments. Monument Man is the first comprehensive biography of this fascinating figure and his illustrious career. Full of rich detail and beautiful archival photographs, Monument Man is a nuanced study of a preeminent artist whose evolution ran parallel to, and deeply influenced, the development of American sculpture, iconography, and historical memory. No American president before or since has faced the problems that confronted Abraham Lincoln when he took office in 1861. Nor has any president expressed himself with such eloquence on issues of great moment. Lincoln's writings reveal the depth of his thought and feeling and the sincerity of his convictions as he weighed the cost of freedom and preserving the Union. Now for the first time an annotated edition of Lincoln's essential writings examines the extraordinary man who produced them and explains the context in which they were composed. IIn A Just and Generous Nation, the eminent historian Harold Holzer and the noted economist Norton Garfinkle present a groundbreaking new account of the beliefs that inspired our sixteenth president to go to war when the Southern states seceded from the Union. Rather than a commitment to eradicating slavery or a defense of the Union, they argue, Lincoln's guiding principle was the defense of equal economic opportunity. In 1865 Americans faced some of the most important issues in the nation's history: the final battles of the Civil War, the struggle to pass the Thirteenth Amendment, the peace process, reconstruction, the role of freed slaves, the tragedy of Abraham Lincoln's assassination, and the trials of the conspirators. In this illuminating collection, prominent historians of nineteenth-century America offer insightful overviews of the individuals, events, and issues that shaped the future of the United States in 1865. For the 150th anniversary, Harold Holzer presents an unprecedented firsthand chronicle of one of the most pivotal moments in American history. On April 14, 1865, Good Friday, the Civil War claimed its ultimate sacrifice. President Lincoln Assassinated!! 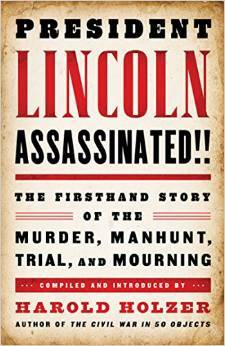 recaptures the dramatic immediacy of Lincoln's assassination, the hunt for the conspirators and their military trial, and the nation's mourning for the martyred president. The fateful story is told in more than eighty original documents—eyewitness reports, medical records, trial transcripts, newspaper articles, speeches, letters, diary entries, and poems—by more than seventy-five participants and observers, including the assassin John Wilkes Booth and Boston Corbett, the soldier who shot him. Courtroom testimony exposes the intricacies of the plot to kill the president; eulogies by Ralph Waldo Emerson, Wendell Phillips, and Benjamin Disraeli and poetry by Walt Whitman, Herman Melville and Julia Ward Howe give eloquent voice to grief; two emotional speeches by Frederick Douglass—one of them never before published—reveal his evolving perspective on Lincoln's legacy. Ubiquitous and enigmatic, the historical Lincoln, the literary Lincoln, even the cinematic Lincoln have all proved both fascinating and irresistible. Though some 16,000 books have been written about him, there is always more to say, new aspects of his life to consider, new facets of his persona to explore. Enlightening and entertaining, Exploring Lincoln offers a selection of sixteen papers presented at the Lincoln Forum symposia over the past three years. 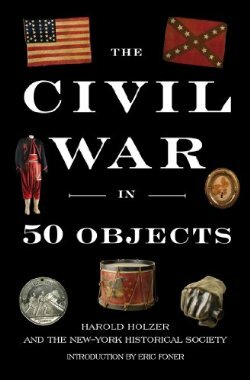 Lincoln scholar Harold Holzer sheds new light on the war by examining fifty objects from the New-York Historical Society’s acclaimed collection. A daguerreotype of an elderly, dignified ex-slave, whose unblinking stare still mesmerizes; a soldier’s footlocker still packed with its contents; Grant’s handwritten terms of surrender at Appomattox–the stories these objects tell are rich, poignant, sometimes painful, and always fascinating. They illuminate the conflict from all perspectives–Union and Confederate, military and civilian, black and white, male and female–and give readers a deeply human sense of the war. Only hours into the new year of 1863, Abraham Lincoln performed perhaps his most famous action as president by signing the Emancipation Proclamation. Rather than remaining the highlight of the coming months, however, this monumental act marked only the beginning of the most pivotal year of Lincoln’s presidency and the most revolutionary twelve months of the entire Civil War. In recognition of the sesquicentennial of this tumultuous time, prominent Civil War scholars explore the events and personalities that dominated 1863 in this enlightening volume, providing a unique historical perspective on a critical period in American history. A new book (and companion to the Steven Spielberg film) tracing how Abraham Lincoln came to view slavery... and came to end it. Steven Spielberg focused his movie Lincoln on the sixteenth president’s tumultuous final months in office, when he pursued a course of action to end the Civil War, reunite the country, and abolish slavery. 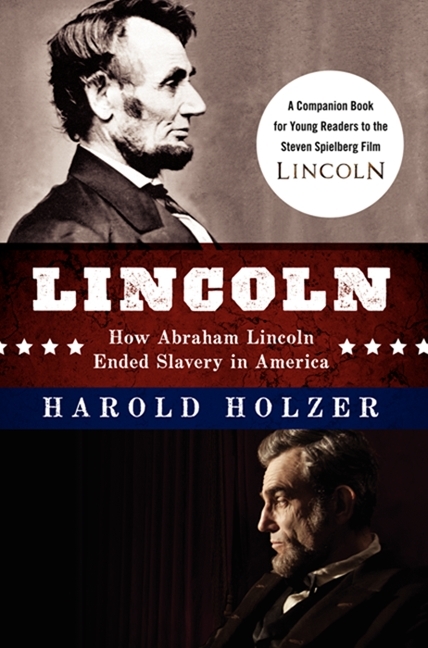 Invited by the filmmakers to write a special Lincoln book as a companion to the film, Harold Holzer, the distinguished historian and a consultant on the movie, now gives us a fast-paced, exciting new book on Lincoln’s life and times, his evolving beliefs about slavery, and how he maneuvered to end it. The Emancipation Proclamation is responsible both for Lincoln’s being hailed as the Great Emancipator and for his being pilloried by those who consider his once-radical effort at emancipation insufficient. Holzer examines the impact of Lincoln’s announcement at the moment of its creation, and then as its meaning has changed over time. President Lincoln used his own weapons—his words—to fight the Civil War as brilliantly as any general who ever took the field. In Lincoln on War, historian Harold Holzer gathers and interprets Lincoln’s speeches, letters, memoranda, orders, telegrams, and casual remarks, organizing them chronologically and allowing readers to experience Lincoln’s growth from an eager young Indian War officer to a middle-aged dove congressman to a surprisingly hardened and determined hawk as the Union’s commander-in-chief. 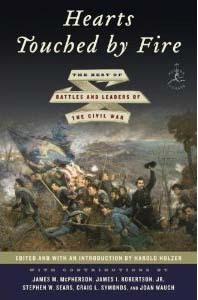 Hearts Touched by Fire offers stunning accounts of the war’s great battles written by the men who planned, fought, and witnessed them, from leaders such as General Ulysses S. Grant, General George McClellan, and Confederate captain Clement Sullivane to men of lesser rank. This collection also features new year-by-year introductions by esteemed historians, including James M. McPherson, Craig L. Symonds, and James I. Robertson, Jr., who cast wise modern eyes on the cataclysm that changed America and would go down as the bloodiest conflict in our nation’s history. In the fourth volume from scholarly collective the Lincoln Forum (following Lincoln Revisited), 10 contributors turn their attention to the 16th president’s assassination. Editors Holzer and Williams collaborate on an interesting (and well-illustrated) look at popular engravings and prints portraying Lincoln’s final hours, some of which put a crowd of 50 at Lincoln’s deathbed, in a room large enough for no more than a half-dozen. The 2009 New-York Historical Society exhibition, which this companion book accompanies, explores for the first time how America’s flourishing media and financial capital—also a center of pro-slavery sentiment and anti-Lincoln Democratic politics—contributed to and influenced Lincoln’s political rise, his prosecution of the Civil War, his decisions on emancipation and African-American enlistment, and ultimately Lincoln’s place in history. This volume and the exhibition cap the national observances of Abraham Lincoln’s 200th birthday. Harold Holzer, one of the most eminent Lincoln scholars, winner of a Lincoln Prize for his Lincoln at Cooper Union, examines the four months between Lincoln’s election and Inauguration when the president-elect made the most important decision of his coming presidency—there would be no compromise on slavery or secession of the slaveholding states even at the cost of an inevitable Civil War. Lincoln President-Elect is the first book to concentrate on his public stance during these months and the momentous consequences when Abraham Lincoln first demonstrated his determination and leadership. He rejected compromises urged on him that might have preserved the Union for a little while longer but enshrined slavery for generations. On May 1, 1865, two weeks after Abraham Lincoln’s assassination, recently inaugurated president Andrew Johnson appointed John Frederick Hartranft to command the military prison at the Washington Arsenal, where the U.S. government had just incarcerated the seven men and one woman accused of complicity in the shooting. From that day through the execution of four of the accomplices, the Pennsylvania-born general held responsibility for the most notorious prisoners in American history. A strict adherent to protocol, Hartranft kept a meticulously detailed account of his experiences in the form of a letterbook. In The Lincoln Assassination Conspirators, noted Lincoln scholars Edward Steers, Jr., and Harold Holzer, in partnership with the National Archives, present this fascinating historical record for the first time with contextual materials and expert annotations, providing a remarkable glimpse behind the scenes of the assassination’s aftermath. Abraham Lincoln has achieved an unrivaled preeminence in American history, culture, and myth. Here, for the bicentennial of his birth, Lincoln and his enduring legacy are the focus of nearly 100 major authors and important historical figures from his time to the present. Edited by celebrated Lincoln scholar Harold Holzer, this collection gathers fascinating writing from a variety of genres to illuminate the Lincoln we know and revere. 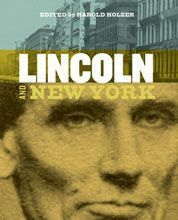 It enables readers to rediscover Lincoln anew through the eyes of some of our greatest writers, including Winston Churchill, Frederick Douglass, Ralph Waldo Emerson, U. S. Grant, Nathaniel Hawthorne, Victor Hugo, Henrik Ibsen, Karl Marx, Herman Melville, Leo Tolstoy, Mark Twain, Gore Vidal, Booker T. Washington, H. G. Wells, Walt Whitman, Garry Wills, and many others. The Lincoln Anthology includes illustrations and a detailed chronology of Lincoln’s life. What was Lincoln really like? Depends on whom you ask... Here are first-hand recollections from the famous (Harriet Beecher Stowe, Frederick Douglass, Nathaniel Hawthorne) to the not-so-famous to the downright infamous (John Wilkes Booth). "The President is nothing more than a well meaning baboon." "No man living has a kinder heart." "Mr. Lincoln had the saddest face I ever attempted to paint." "Mr. Lincoln was deficient in those little links which make up the great chain of womans happiness." "Inspiring ... A collection that sheds light not only on Lincoln but also on his times." "A pleasing admixture of the strange and the familiar, of poignance and humor, of iron and irony." 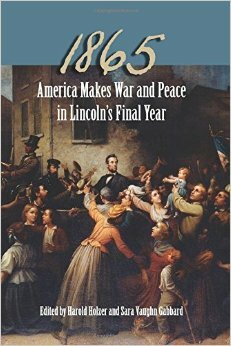 Lincoln’s reelection in 1864 was a pivotal moment in the history of the United States. The Emancipation Proclamation had officially gone into effect on January 1, 1863, and the proposed Thirteenth Amendment had become a campaign issue. Lincoln and Freedom: Slavery, Emancipation, and the Thirteenth Amendment captures these historic times, profiling the individuals, events, and enactments that led to slavery’s abolition. Fifteen leading Lincoln scholars contribute to this collection, covering slavery from its roots in 1619 Jamestown, through the adoption of the Constitution, to Abraham Lincoln’s presidency. This comprehensive volume, edited by Harold Holzer and Sara Vaughn Gabbard, presents Abraham Lincoln’s response to the issue of slavery as politician, president, writer, orator, and commander-in-chief. Topics include the history of slavery in North America, the Supreme Court’s Dred Scott decision, the evolution of Lincoln’s view of presidential powers, the influence of religion on Lincoln, and the effects of the Emancipation Proclamation. This collection probingly explores slavery as a Constitutional issue, both from the viewpoint of the original intent of the nation’s founders as they failed to deal with slavery, and as a study of the Constitutional authority of the commander-in-chief as Lincoln interpreted it. Addressed are the timing of Lincoln’s decision for emancipation and its effect on the public, the military, and the slaves themselves. Other topics covered include the role of the U.S. Colored Troops, the election campaign of 1864, and the legislative debate over the Thirteenth Amendment. The volume concludes with a heavily illustrated essay on the role that iconography played in forming and informing public opinion about emancipation and the amendments that officially granted freedom and civil rights to African Americans. Lincoln and Freedom provides a comprehensive political history of slavery in America and offers a rare look at how Lincoln’s views, statements, and actions played a vital role in the story of emancipation. In February 2009, America celebrates the bicentennial of the birth of Abraham Lincoln, and the pace of new Lincoln books and articles has already quickened. From his cabinet’s politics to his own struggles with depression, Lincoln remains the most written-about story in our history. And each year historians find something new and important to say about the greatest of our Presidents. 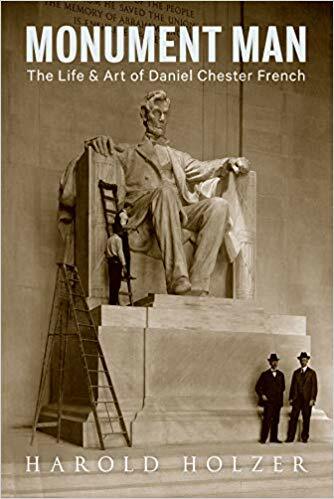 Lincoln Revisited is a masterly guidebook to what’s new and what’s noteworthy in this unfolding story—a brilliant gathering of fresh scholarship by the leading Lincoln historians of our time. Brought together by The Lincoln Forum, they tackle uncharted territory and emerging questions; they also take a new look at established debates—including those about their own landmark works. 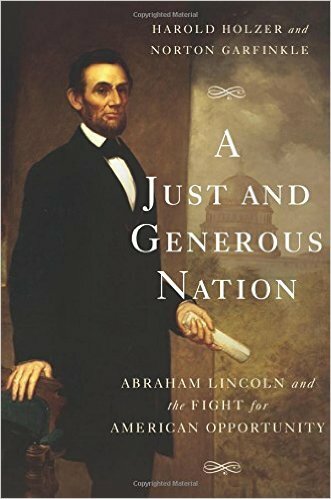 Here, these well-known historians revisit key chapters in Lincoln’s legacy—from Matthew Pinsker on Lincoln’s private life and Jean Baker on religion and the Lincoln marriage to Geoffrey Perret on Lincoln as leader and Frank J. Williams on Lincoln and civil liberties in wartime. The eighteen original essays explore every corner of Lincoln’s world—religion and politics, slavery and sovereignty, presidential leadership and the rule of law, the Second Inaugural Address and the assassination. William Osborn Stoddard, Lincoln’s “third secretary” who worked alongside John G. Nicolay and John Hay in the White House from 1861 to 1865, completed his autobiography in 1907, one of more than one hundred books he wrote. An abridged version was published by his son in 1955 as “Lincoln’s Third Secretary: The Memoirs of William O. Stoddard.” In this new, edited version, Lincoln’s White House Secretary: The Adventurous Life of William O. Stoddard, Harold Holzer provides an introduction, afterword, and annotations and includes comments by Stoddard’s granddaughter, Eleanor Stoddard. The elegantly written volume gives readers a window into the politics, life, and culture of the mid-nineteenth century. Stoddard’s bracing writing, eye for detail, and ear for conversation bring a novelistic excitement to a story of childhood observations, young friendships, hardscrabble frontier farming, early hints of the slavery crisis, the workings of the Lincoln administration, and the strange course of war and reunion in the southwest. More than a clerk, Stoddard was an adventurous explorer of American life, a farmer, editor, soldier, and politician. Enhanced by seventeen illustrations, this narrative sympathetically draws the reader into the life and times of Lincoln’s third secretary, adding to our understanding of the events and the larger-than-life figures that shaped history. In 2003 the Indiana Historical Society, with a grant from the Lilly Endowment Inc., acquired some eight hundred items from the Jack L. Smith Graphics Collection, the entire Daniel R. Weinberg Lincoln Conspirators Collection, and the one-of-a-kind original collodion wet-plate negative of Alexander Gardner’s iconic photograph of Lincoln taken only days before the 1863 Gettysburg Address. These collections were added to the some three hundred major pieces of Lincolniana, including a handwritten page from the future president’s childhood sum book, which the Society already owned. The Smith Collection includes contemporary and later images of Lincoln with his family, generals, and cabinet members. Also included are political cartoons, illustrated sheet music, and book and newspaper illustrations of the period. The Weinberg Collection consists of photographs, manuscripts, books, pamphlets, and newspapers relating to the trial and execution or imprisonment of the Lincoln assassination conspirators. 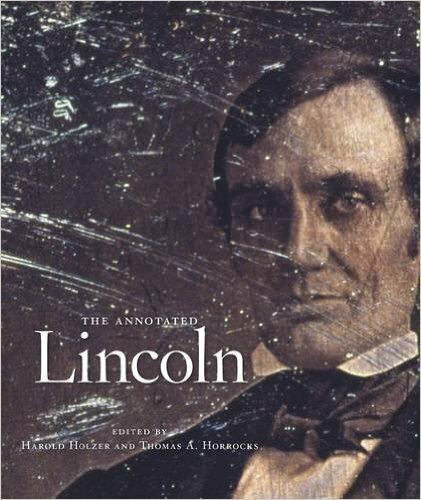 Edited and with an introduction by Harold Holzer, Abraham Lincoln Portrayed contains guides to these collections and approximately 150 images, many in color. The Emancipation Proclamation is the most important document of arguably the greatest president in U.S. history. Now, Edna Greene Medford, Frank J. Williams, and Harold Holzer—eminent experts in their fields—remember, analyze, and interpret the Emancipation Proclamation in three distinct respects: the influence of and impact upon African Americans; the legal, political, and military exigencies; and the role pictorial images played in establishing the document in public memory. The result is a carefully balanced yet provocative study that views the Proclamation and its author from the perspective of fellow Republicans, anti-war Democrats, the press, the military, the enslaved, free blacks, and the antislavery white establishment, as well as the artists, publishers, sculptors, and their patrons who sought to enshrine Abraham Lincoln and his decree of freedom in iconography. Medford places African Americans, the people most affected by Lincoln’s edict, at the center of the drama rather than at the periphery, as previous studies have done. She argues that blacks interpreted the Proclamation much more broadly than Lincoln intended it, and during the postwar years and into the twentieth century they became disillusioned by the broken promise of equality and the realities of discrimination, violence, and economic dependence. Williams points out the obstacles Lincoln overcame in finding a way to confiscate property—enslaved humans—without violating the Constitution. He suggests that the president solidified his reputation as a legal and political genius by issuing the Proclamation as Commander-in-Chief, thus taking the property under the pretext of military necessity. Holzer explores how it was only after Lincoln’s assassination that the Emancipation Proclamation became an acceptable subject for pictorial celebration. Even then, it was the image of the martyr-president as the great emancipator that resonated in public memory while any reference to those African Americans most affected by the Proclamation was stripped away. This multilayered treatment reveals that the Proclamation remains a singularly brave and bold act—brilliantly calculated to maintain the viability of the Union during wartime, deeply dependent on the enlightened voices of Lincoln’s contemporaries, and owing a major debt in history to the image-makers who quickly and indelibly preserved it. On March 8 and 9, 1862, a sea battle off the Virginia coast changed naval warfare forever. It began when the Confederate States Navy’s CSS Virginia led a task force to break the Union blockade of Hampton Roads. The Virginia sank the USS Cumberland and forced the frigate Congress to surrender. Damaged by shore batteries, the Virginia retreated, returning the next day to find her way blocked by the newly arrived USS Monitor. The clash of ironclads was underway. After fighting for nine hours, both ships withdrew, neither seriously damaged, with both sides claiming victory. Although the battle may have been a draw and the Monitor sank in a storm later that year, this first encounter between powered, ironclad warships spelled the end of wooden warships—and the dawn of a new navy. Each of the editors of this volume has written numerous books on Lincoln (Donald's Lincoln, 1995, being the best extant biography). Here they combine to extract Lincoln reportage from the Civil War version of theNew York Times, then a local newspaper. That local slant gives two passages detailing Lincoln's visits to New York the most vivid eyewitness colors. Times correspondents wrote in the prolix style of the era, noting prosaic, newspaper-selling detail about Lincoln's appearance, his immediate surroundings, and his extemporaneous remarks. The Times reports from Washington feel more historically generic, for Lincoln was not accessible to reporters and preferred to communicate either directly with his incessant stream of visitors or via his formal speeches, proclamations, open letters, and messages to Congress. Extracted verbatim for this volume, Lincoln's great documents bespeak a less-mediated way of receiving news than occurs today. For Lincoln buffs, the volume revives a contemporary, what's-next sense to the Civil War that formal histories tend to expunge. Winner of The Award of Achievement of The Lincoln Group of New York, and The Civil War Round Table's Barondess Award. Award-winning Lincoln scholar Harold Holzer places Lincoln and his speech in the context of the times -- an era of racism, politicized journalism, and public oratory as entertainment -- and shows how the candidate framed the speech as an opportunity to continue his famous "debates" with his archrival Democrat Stephen A. Douglas on the question of slavery. "Few people know more about Abraham Lincoln than Holzer. This fine new work focuses on a widely known but little studied address that Lincoln delivered early in 1860 in New York City ..Surely no one will again overlook this masterful speech." "Lincoln of myth is a simple and plainspoken fellow. The real Lincoln was the master of a calculated rhetoric. There is no better proof of that important fact than Harold Holzer's important book." "It required someone with Harold Holzer's combination of knowledge, experience and talent to capture the speech's unique complexity and profundity...All of this is brought to readers with meticulous historic precision, fascinating insight and charmingly facile prose." "An engrossing account ...stimulating and pleasurable." "Holzer's research is prodigious ...Although Holzer is an unabashed (even effervescent) advocate for Lincoln-and for the significance of this speech-he also is careful to analyze the architecture and rhetoric of the remarks and to puncture some puffballs that have grown in the yard of Lincoln Legends...The enthusiasm is infectious." Back in print after ten years, this unique book brings together 141 speeches, speech excerpts, letters, fragments, and other writings by Lincoln on the theme of democracy. 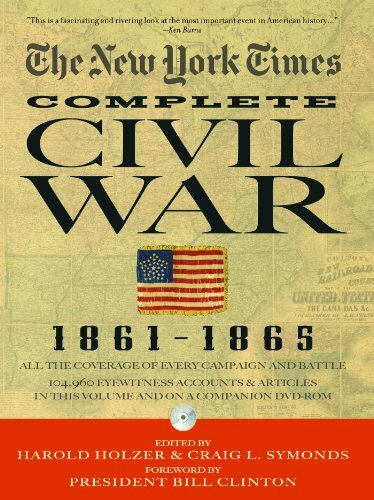 Selected by leading historians, the writings include such standards as the Emancipation Proclamation and the Gettysburg Address, but also such little-seen writings as a letter assuring a general that the President felt safe—drafted just three days before Lincoln’s assassination.In this richly annotated anthology, the writings are grouped thematically into seven sections that cover politics, slavery, the union, democracy, liberty, the nation divided, and the American Dream.The introductions are by well-known historians: Gabor Borritt, William E. Gienapp, Charles B. Strozier, Richard Nelson Current, James M. McPherson, Mark E. Neely, Jr., and Hans L. Trefousse. In addition, each section’s title page displays a photograph of Lincoln from the time period covered in that section, with a paragraph describing the source and the occasion for which the photograph was made. Lincoln Newspaper. This 96-page newspaper reproduces original news coverage from The Times that traces Lincoln's rise to political prominence, his election and the major events during his presidency, including his wartime leadership. Lincoln Commemorative & Pictorial, a 16-page illustrated magazine, originally printed in 1913. 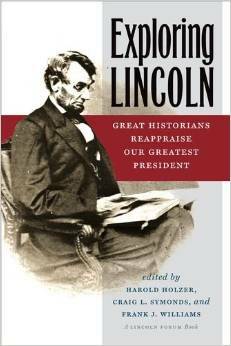 New introduction by Harold Holzer, co-author of "The Lincoln Image". Those who have read the debates between Lincoln and Douglas that took place during the 1858 Senate race in Illinois may not have read what was actually said. The authenticity of the texts has always been in dispute, with the political presses of the day polishing the prose of their candidate and Lincoln himself publishing a sanitized version two years later. The editor of this volume (coeditor, with Mario Cuomo, of Lincoln on Democracy , LJ 10/15/90), claims to present the first authentic texts of the seven confrontations. Interspersed are shouted comments from the crowds, background on the sites, and renditions of how the debates may have appeared. What emerges is a vivid, boisterous picture of politics during our most divisive period: the dull ineloquence of Lincoln and his interplay with hecklers, the blatant bigotry and slashing humor of Douglas, and the small degree to which campaigning has changed in 135 years. This fresh, fascinating examination of a significant step in our march toward the Civil War deserves a place in all American history collections. For public, school, and academic libraries. James Moffet, Baldwin P.L., Birmingham, Mich. Copyright 1993 Reed Business Information, Inc. According to editor and Lincoln scholar Harold Holzer, the numerous previous editions of these legendary debates have all used corrupted text from the partisan print media of the time. Holzer and colleagues have now reconstructed the debates from transcriptions assembled for the first time since 1858. Holzer's colorful introduction sets the debates in political and historical context. "A vivid, boisterous picture of politics during our most divisive period..., deserves a place in all American history collections." For the first time since the legendary debates between Abraham Lincoln and Stephen Douglas took place in 1858, readers can appreciate all seven debates in their entirety. Holzer's meticulously researched and authoritative texts are accompanied by brief, colorful essays that provide backgound information and put the speeches in the correct political context. Halftones. The first complete and unedited version of the historic debates that mesmerized America and brought the issues of slavery and nationhood to the forefront of the country's agenda. The seven debates between Abraham Lincoln and Stephen Douglas held during the Illinois senatorial race of 1858 are among the most important statements in American political history, dramatic struggles over the issues that would tear apart the nation in the Civil War: the virtues of a republic and the evils of slavery. In this acclaimed book, Holzer brings us as close as possible to what Lincoln and Douglas actually said. Using transcripts of Lincoln's speeches as recorded by the pro-Douglas newspaper, and vice versa, he offers the most reliable, unedited record available of the debates. Also included are background on the sites, crowd comments, and a new introduction. "This splendid volume should stand as the definitive treatment of Prang and his work." "Prang's Civil War Pictures proves...that the editor is the foremost expert on the iconography of America's Middle Period." During the 1880's, a German-born, Boston-based picture publisher successfully commissioned the most ambitius series of battle prints ever published. Louis Prang, best known as the "father of the Christmas card," hired noted military and marine artists to create original scenes of combat, and then reporoduced their works in a wildly popular portfolio of chromolithographs. He called the set Prang's War Pictures. They were offered to an eager public accompanied by "descriptive texts" that told the story of each engagement through eyewitness recollection by the heroes of each action. The set proved both appealing and influential, selling vigorously in various editions for a generation, and elevating the stature of military illustration in America. For 20 years, Civil War prints for the masses had featured uninspired, one-dimensional views of armies in hand-to-hand combat. Prang and his artists demonstrated genuine skill and imaginative perspective. They showed both real carnage and important technological advances, revealing both the broad sweep of panoramic battlefields and the intimate action of individual combatants. These famously sepia-toned chromos went on to become familiar illustrations in books and magazines - often offered as definitive examples of Civil War art. But until now, the complete set of 18 chromos has never been collected in a single volume. And the original "Descriptive Texts" first offered Prang's customers as marketing brochures to boost sales - a priceless hitorical archive in and of themselves - have never been published since, anywhere. Holzer reunites pictures and texts in an authoritative, milestone volume orchestrating prints and descriptions that resurrect Prang's original conception of battle art for the masses for a new generation. The book also features reproductions of the original works of art that inspired the prints, created on commission by battle painter Thure de Thulstrup and naval specialist Julian Oliver Davidson - now housed in art collections around the country - but seldom seen since they were commisssioned by Prang as models for his ambitious chromolithographs. This long-needed complete Prang portfolio will undoubtedly become an essential collectible for Civil War aficionados in the country, as well as for liraries and university collections increasingly aware of the importance of art and iconography in defining the Civil War experience and the impact of Civil War memory. Gabor S. Boritt, and Mark E. Neely, Jr. The Lincoln Image documents how popular prints helped make Lincoln's a household face, deliberately crafting the image of a man of the people, someone with whom an ordinary American could identify. Featuring the work of Currier and Ives, John Sartain, and other artists and printmakers, this lavishly illustrated volume pairs original photographs and paintings with the prints made from them. That juxtaposition shows how printmakers reworked the original images to refine Lincoln's appearance. In several prints, his image replaces those of earlier politicians (the nineteenth-century equivalent of being "airbrushed in"); in others, a beard has been added to images that originally appeared clean-shaven. Focusing on prints produced in Lincoln's lifetime and in the iconographically important months immediately following his death, The Lincoln Image also includes wartime cartoons, Lincoln family portraits (most of which appeared after the assassination), and renderings of the fateful moment of the shooting at Ford's Theatre. In addition to discussing the prints themselves, prominent Lincoln scholars Harold Holzer, Gabor S. Boritt, and Mark E. Neely Jr. examine the political environment of the nineteenth century that sustained a market for political prints, showing how politics offered spectacle, ritual, and amusement to a nation without organized sports and with only a rudimentary entertainment industry. A fascinating examination of the relationship between Lincoln's image, the printmakers' craft, and the political culture that helped shape them both, The Lincoln Image documents how printmakers both chronicled and shaped Lincoln's transfiguration into an American icon. In Lincoln Seen and Heard, Harold Holzer probes the development of Lincoln's image and reputation in his own time. He examines a vast array of visual and documentary sources to demonstrate the president's impact both on the public and on the historical imagination, enabling us to see the man from Illinois as his contemporaries saw him. Holzer considers a wide range of images—prints, portraits, political cartoons--to reveal what they say about Lincoln. He shows the ways in which Lincoln was depicted as Great Emancipator and as commander-in-chief, how he was assailed in cartoons from both sides of the Mason-Dixon line, and how printmakers both memorialized and capitalized on his assassination. Sharing dozens of historic reproductions, Holzer writes with unabashed enthusiasm as he unravels the symbolic meaning and the message of these images and explains their relation to political and military events of the time. This book is a sequel to Holzer's 1993 collection, Dear Mr. Lincoln: Letters to the President (LJ 11/1/93). The contents of the present volume include newly discovered letters, most importantly a batch of hitherto neglected letters from African Americans. Lincoln's personal secretary, later joined by two aides, served as a "filter" for the hundreds of pieces of mail that arrived for him each day. Unlike Holzer's previous volume, which was arranged thematically, these letters are strictly chronological. They make for absolutely fascinating reading, evoking the full range of human emotions from laughter to tears. Holzer, the author, coauthor, or editor of ten Civil War-related books, has wisely kept all the misspellings intact, and each letter also has a useful explanatory note. All libraries will want this volume on hand. Neely and Holzer follow their previous Confederate Image: Prints of the Lost Cause (o.p.) with a look at the uplifting propaganda prints of the North during and after the war. When the war opened with 4000 shells showering down on Fort Sumter in April 1861, not a single life was claimed, but the shelling shredded the American flag. The New York lithography firm of Currier & Ives immediately issued copies of "Bombardment of Fort Sumter" showing a soldier holding the tattered banner, which created a flag mania. Other companies soon joined in. Images of commanders nobly mounted, life in camp, tearful good-byes, lavish battle scenes showing Confederates in retreat, and dying soldiers with an angel hovering overhead were enthusiastically displayed in Northern homes to show patriotism. The 1864 Presidential campaign spawned more popular images. Over the years, the authors have scoured public and private collections to locate the 150 original prints represented here as well as new information on the artists and the printing processes. Their intent to recapture the spirit in which these prints were first published and their importance to American culture is successfully realized. Useful to scholars as well as the casual reader, this book is highly recommended for both academic and public libraries. Joseph C. Hewgley, Nashville P.L. "This handsome, oversized volume . . . contributes to our understanding of life, politics and public opinion in the North." Each year, hundreds of scholars and other enthusiasts mark the anniversary of the Gettysburg Address by gathering together in Gettysburg, Pennsylvania for the Lincoln Forum. There, leading historians reinterpret and rediscover the legacy of Abraham Lincoln. Now the best recent Lincoln Forum essays are available in one volume, offering important re-examinations of Lincoln as military leader, communicator, family man, and icon. The contributors include James M. McPherson, Craig L. Symonds, John F. Marszalek, Jean H. Baker, Hans L. Trefousse, J. Tracy Power, John C. Waugh, Gerald Prokopowicz, and Frank J. Williams. Co-authored by Harold, Holzer and Mark E. Neely, Jr.
A look at Civil War art features reproductions of hundreds of the best and rarest Civil War panoramas, tableaus, and portraits, and explores their role in altering public taste, galvanizing popular imagination, and shaping national memory. 40,000 first printing. A stunning and definitive look at the best and most important artworks of the Civil War era. Includes sweeping battlefield panoramas, grisly combat tableaux, camp scenes, and heroic portraiture of military leaders, all accompanied by a lively text that is as entertaining as it is informative. Full-color and black-and-white photographs. In this brillant presentation Mario Cuomo draws a devastating comparison between Lincoln's vision of American democracy and that of the George W. Bush administration. I was enthralled by the book. Mario Cuomo is at home on the world of ideas as as in the world of politics, and he is a long-time Lincoln scholar. Why Lincoln Matters is a thoughtful and challenging meditation on what Lincoln's wisdom tells us we Americans should be doing today and tomorrow. Abraham Lincoln was devoted to his country -- and to his family. President Lincoln called America a ’House Divided’ but he struggled to keep his own house united. It would prove to be an impossible task. Sickness, loss and family tensions overwhelmed Abraham, Mary, and their four sons. Opening up the Lincoln family album, noted Lincoln scholar Harold Holzer highlights the family's heartaches and happiness. Illustrated with archival photographs and backed by extensive primary source material, this compelling portrait illuminates the private lives of four generations of a prominent American family. Gr. 5-8. A page-turner of a text, a fascinating array of photos and archival illustrations, and an event that changed the course of history: all these elements combine in this strong, highly readable book. 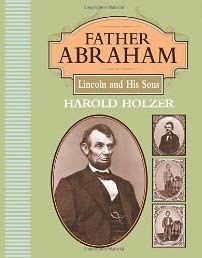 Holzer, the author of Abraham Lincoln: The Writer (2000) as well as numerous books about the Civil War for adults, does a fine job of condensing and shaping information about the assassination for young readers, beginning rather breathlessly on the day Lincoln died in an unassuming boarding house across from Ford's Theater. From there, he moves back in time, introducing Lincoln as a determined if weary leader, who gained the North's respect. But Holzer also explains why Lincoln was despised, filling in details of the South's destruction and demoralization. Taking advantage of the volatile mix was actor John Wilkes Booth, a lover of the South and a supporter of slavery, who, not content with stage fame, craved historical recognition. Holzer's sharp, clear writing turns history into drama without being overwrought, and the many photographs and engravings (including several depictions of the deathbed moment) bring the players to life and evoke the emotion and confusion surrounding the tragedy. Sources notes are sorely missed, but a bibliography (mostly adult titles) helps somewhat to fill the gap. Holzer also includes a list of places to visit. Abraham Lincoln the Writer; A Treasury of His Greatest Speeches and Writings. Holzer, a Lincoln enthusiast with several books to his credit, pulls together a collection of writings beginning with rhymes in the margins of young Abe's arithmetic book and ending with official and unofficial words from the presidential years. 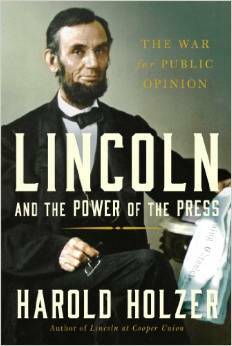 The introduction offers a brief look at Lincoln's life as a man who valued the power of words. Each excerpt is offered with an introduction of its own, providing readers with a historical perspective, and a context that gives meaning to the selection. Lincoln's writings include personal letters, notes on the law, excerpts from speeches, debates, and inaugural addresses, letters to parents of fallen soldiers, and telegrams to his family. Reproductions of period photos, portraits, and documents illustrate the text effectively, though some pictures appear twice, first in the introduction and again as illustrations for Lincoln's writings. Highly interesting and a fine resource for students seeking quotations or for those wanting to meet Lincoln through his own words.